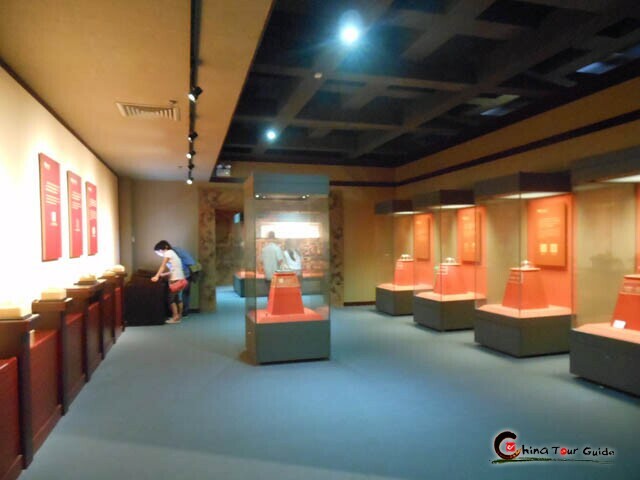 Museum of Nanyue King is the oldest and largest king's tomb with the most funerary objects in South China. 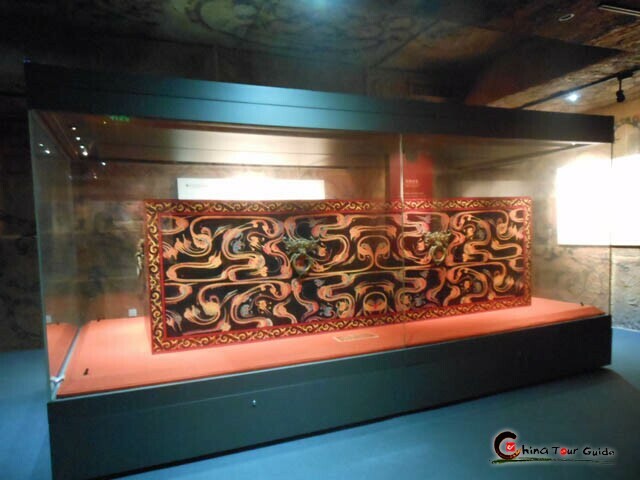 Hidden 20 meters (65.6 feet) underground, it unearthed more than ten thousand rarity cultural relics such as "the golden stamp of Wen Emperor" and "the king's gold-embroidered jade suit". 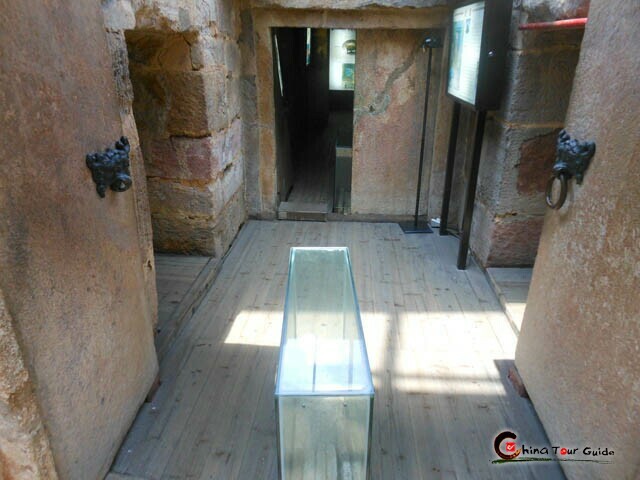 Zhao Mei, the owner of the tomb, is the second king of Nanyue State of the Western Han Dynasty (206 B.C.-24 A.D.).With an area of 100 ㎡, the tomb is divided into two parts by a stone gate. The coffin of the owner is placed in the middle of the main chamber with abundant of treasures and articles for daily life use. 15 slaves were buried along with the emperor. 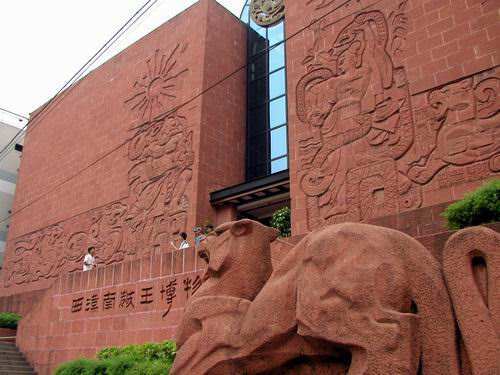 The tomb and all the treasures are important historical relics which have significance on the study of Guangzhou's history and the development of economy, politics and culture. The tomb displays more than a thousand of implements, such us copper, iron, gold, silver, plumbu, ceramic, jade, stone, crystal, agate, glass, coal crystal, ink, silk, hemp, wood, ivory, leather, herbal, animals and aquatic products. 15 slaves and four imperial concubines were buried along with the emperor. The Sati System was only implemented in Slave society and it was abolished during the period of Qin and Han Dynasty(221BC – 8AD). However, we can find from the tomb that the Sati System was still existed in Nanyue (137BC-122BC). The cloud vignette, decorated on the walls and tops of the chamber, represents the owner's aspiration for the soul's end-result after death. 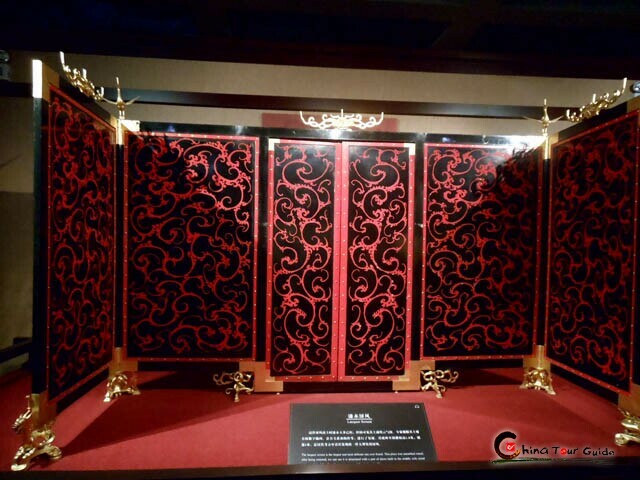 The owner liked jade very much, wearing gold-embroidered jade suit with 14 jades covering on his body and 5 jades under the suit; on top of the suit, there is a pair of jade pendant. Those jades reflect the funeral system of emperors and the importance of jade in traditional Chinese customs. With extractive carves, variational patterns, novelty designs and magnificent grains, the jades reflects those craftsmen's efforts. 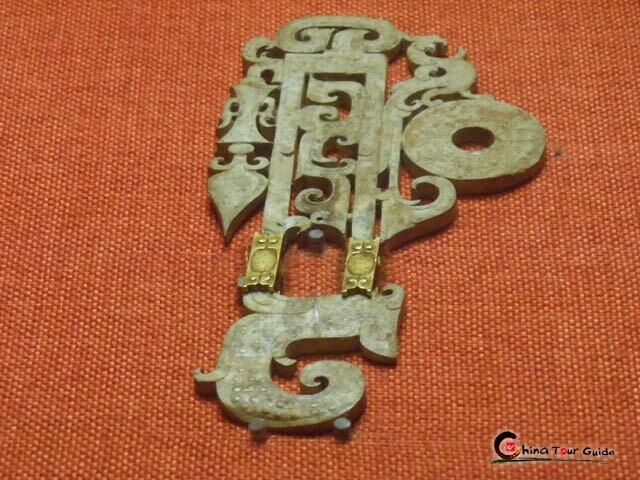 Jade cases were infrequency during Han Dynasty (202BC-8AD). There are over 10 jade cases excavated in Han tombs in China; 5 of them are excavated in the tomb of Western Han Nanyue King. The owner of the tomb liked music so lots of musical instruments and musicians were buried along. In spite of that, a chamber was particularly used for musical instruments. 6 dead stocks are placed by the side of those instruments. Lots of wood tools like axe, hammers, chisels, shovels, sword, and drawknives were buried along. That is why the Nanyue king is also named "Carpenter King". 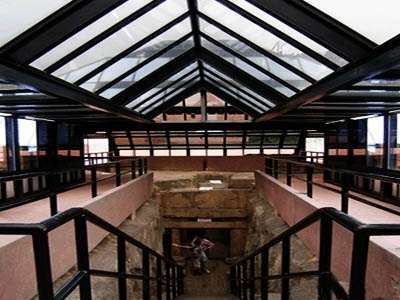 The tomb was named as "the Tomb of Western Han Nanyue King" when it was excavated in 1983. 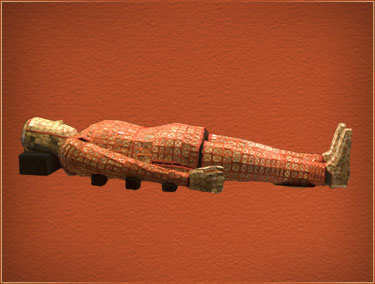 With more than 1000 pieces of buried implements, it is reputed as the largest tomb whose owner is in highest mastership. 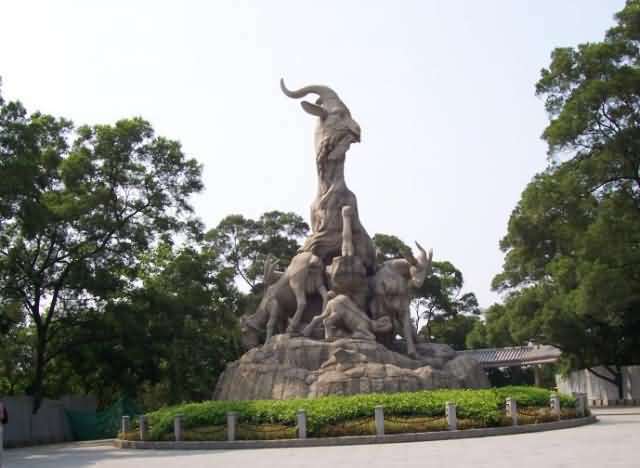 In 1988, the Tomb of Western Han Nanyue King was built at the former address of the tomb in order to protect the tomb and those cultural relics. "The golden stamp of Wen Emperor"
"The golden stamp of Wen Emperor" is made of gold; with characters cut in intaglio printed on the stamp, it was the first excavated Emperor's stamp in China. An S-shaped dragon is sculpted on top of the stamp which represents the power of the emperor. This stamp is in great value and it is honored as "the treasure of the tomb". 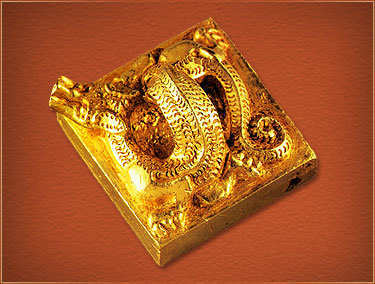 The golden stamp it is honored as "the treasure of the tomb". 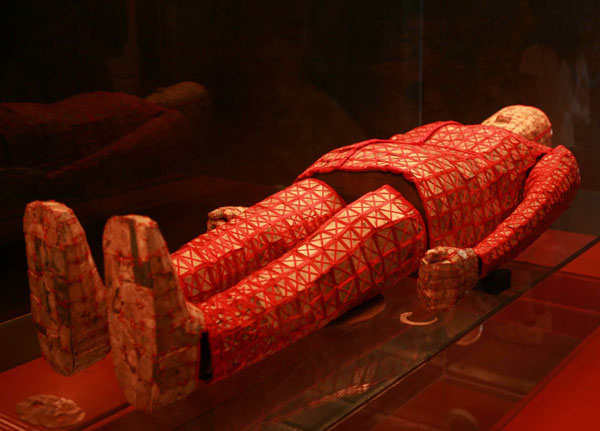 "The king's gold-embroidered jade suit"
"King's gold-embroidered jade suit" is made up of 2,291 pieces of jade; it is the oldest of its kind ever found. The jade suite was believed to protect the human body and soul against evil and death. This gold-embroidered jade suit presents the early development of jade garments as well as development of the South Yue Culture. 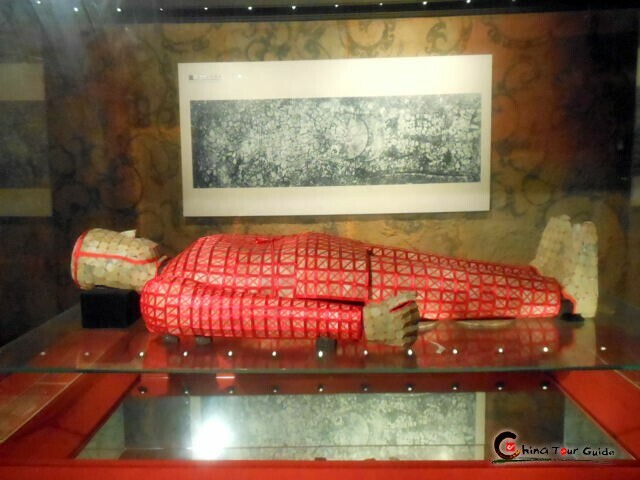 "King's gold-embroidered jade suit" in the tomb of Western Han Nanyue King is the best preserved jade suit in China. 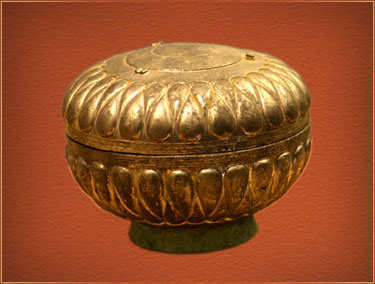 With the features of Persia silverware, the silver case in the tomb is in flat roundness shape with wale on its body and its lid. It is judged as an exotic case by the experts because its different features from Chinese silverware. 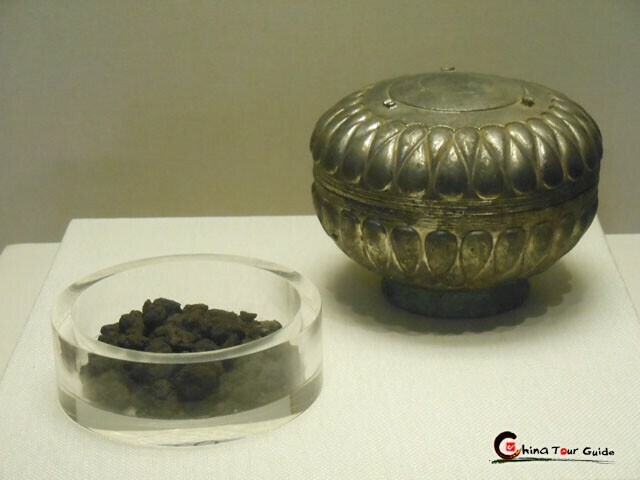 This important cultural relic shows that Guangzhou has become an important port and distributing center during the Western Han period. With a diameter of 10.6cm and the thickness of 0.5cm, the Jade pendant in the tomb is a decorated jade which has the name of national treasure. 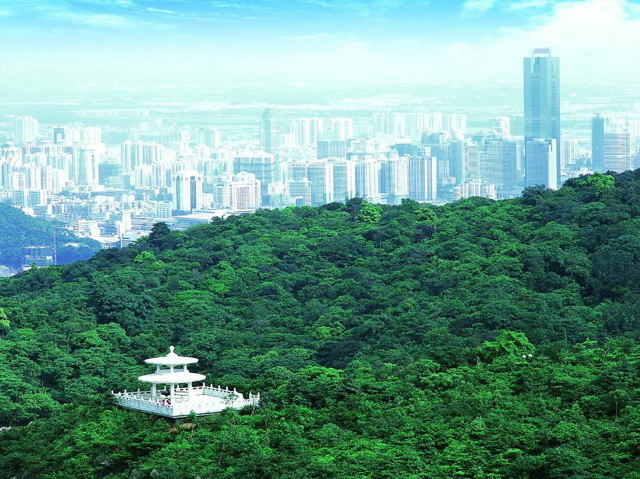 It is made of green and white jade. 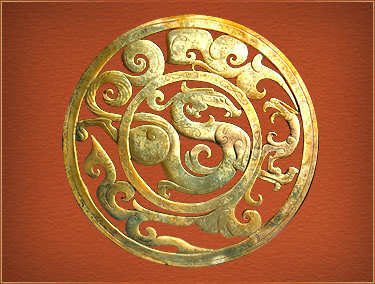 The jade has two circles; a dragon is sculpted in the inner circle while a phoenix is in the outer which reprensent lucky and prosperous in ancient China. The pattern of the jade is chose as the emblem of the tomb. 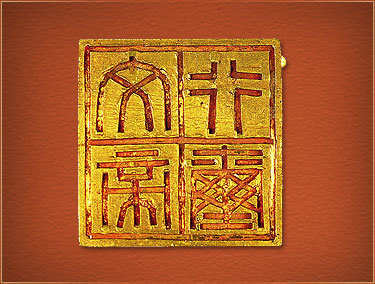 "Golden stamp of Wen Emperor"